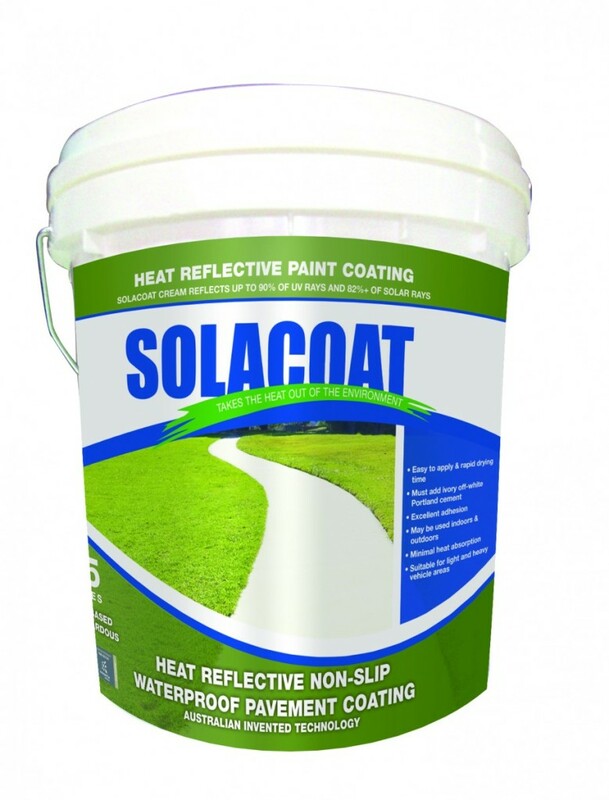 Heat Reflective and Non-slip Waterproof Pavement Coating is a new technology, water-based coating specifically designed to give a Hard Wearing, Non-Slip & Waterproof surface, with minimal heat absorption for pedestrian walk areas. 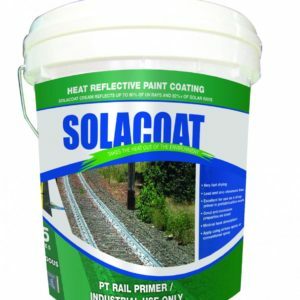 It is a ONE-coat application for poured concrete surfaces with ivory cement added by the applicator. There is the option of an additional clear sealer, which can be used in light vehicle traffic areas and parking lots if the surface consists of concrete blocks, and then a primer will be needed to fill gaps before coating. The product currently comes in Sandstone & Terracotta colour finishes. 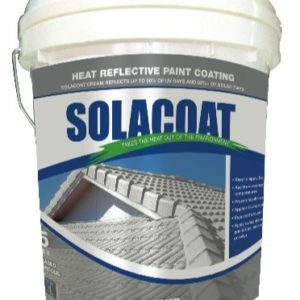 The Solacoat Heat Reflective & Non-Slip & Waterproof Pavement Coating system consists of Solacoat Pavement Coating mixed 10% weight/ volume (i.e. 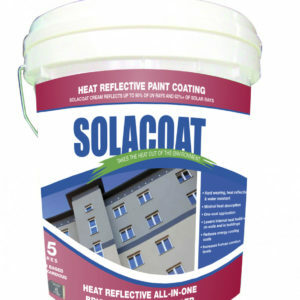 1½ kg ivory off-white Portland cement per 15 litre pail) with ivory off-white Portland cement for pedestrian traffic and light, low speed vehicle traffic and, where necessary, a Solacoat Pavement Sealer. For high usage, heavy vehicles at low speed the quantity of ivory off white Portland cement is increased to 15% weight/volume i.e. 2.25 kg per 15-litre pail. 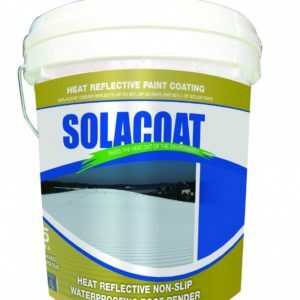 The coating system of Solacoat Pavement Coating mixed with ivory off-white cement MUST be applied in order to achieve the coating life and temperature reduction benefits. Ordinary grey Portland cement will alter the colour and will NOT give the envisaged heat temperature reductions.